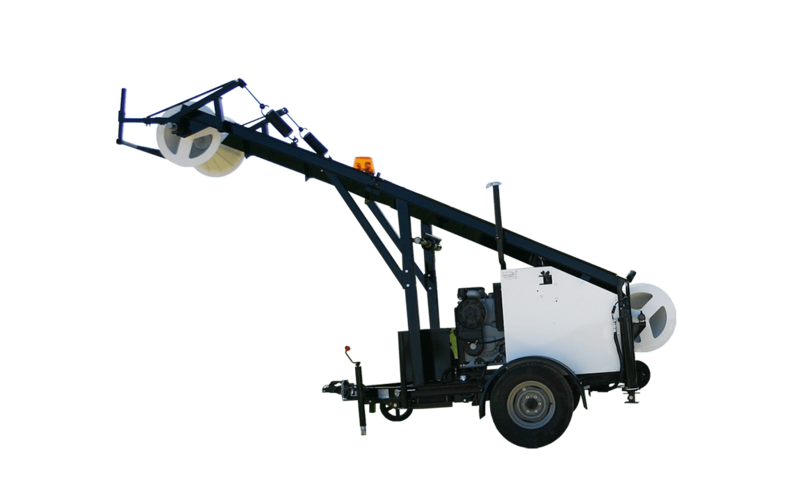 Most experts maintain that, while there are newer methods for cleaning larger lines that are heavily laden with sediment, a Sewer Equipment CO. of America bucket machine is the preferred method. With this process, the clamshell bucket can be pulled into the pipe with the pull-in module. Once the bucket is full, the truck loader module pulls the bucket back out of the line by way of a cable, therefore closing the clamshell and the material can be deposited into a truck. This process is repeated until the line is clean. 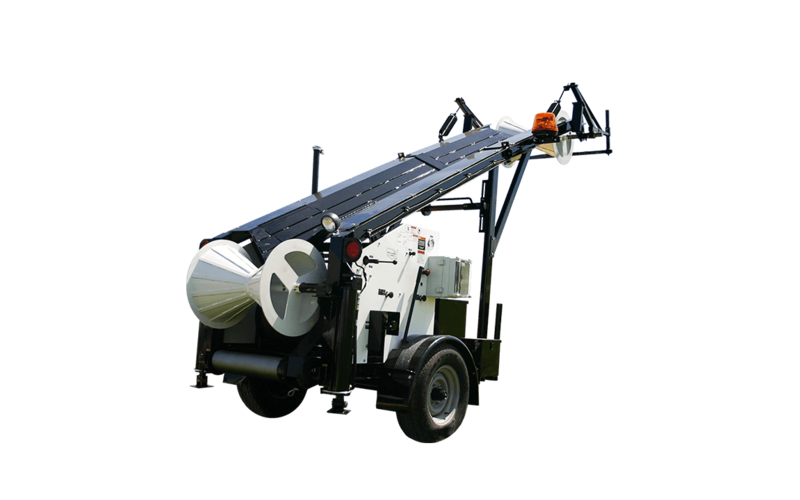 Sewer Equipment Co. of America’s bucket machine comes with the following features; on the pull-in unit, we’ve designed an anti-backlash roller to prevent cable from loosening and snarling. This four inch wide roller with two individual guide rollers and pressure springs is supported by a two inch shaft . Secondly, the pull-in unit features a box tube frame. As we all know, a steel box tube cross section is stronger than a “C” channel cross section. However, tube construction also costs more money. While this is indeed true, it also leads to a stronger and longer lasting frame designed to withstand the strenuous rigors of any application you throw at it. It is for this reason we utilize this concept in all our products and provide our customers with the best value. The Truck loader comes with its own assortment of defining features. Bucket shakers, located on the discharge end of chutes, are spring loaded to permit the operator to empty bucket. Spring Loaded shakers platform prevents buckets from falling into the truck. Lastly, moisture can cause havoc on electrical systems which is why we choose to protect our electrical systems with NEMA rated enclosures. NEMA is an acronym for National Electrical Manufacturers Association and this organization specifies design criteria for electrical enclosures and their sealing abilities. Rather than just run wires to and from various devices, we choose to design our products to resist the rigors of your application by utilizing these enclosures on our products and eliminate the maintenance issues related to moisture intrusion in electrical systems which do not use these methods. 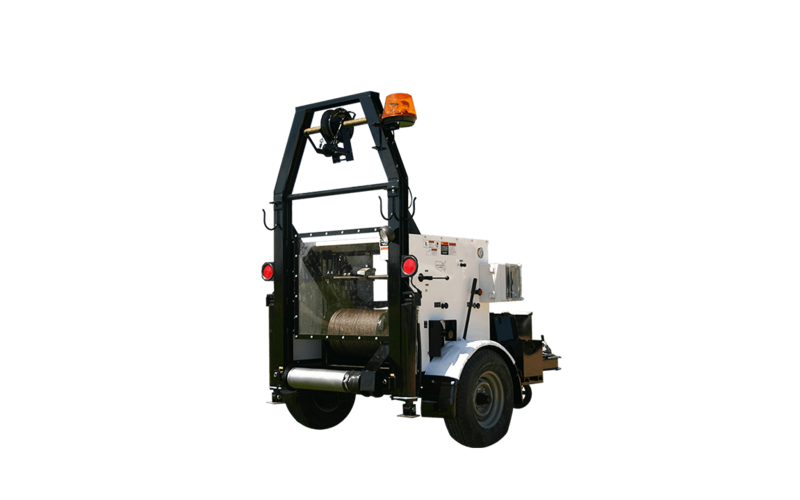 Sewer Equipment Co. of America’s pull-in and truck loader bucket machines hold many advantages over other sewer cleaning alternatives. For example, only solids are removed when using our bucket machine, meaning large lines to be cleaned more quickly and effectively than with a combination truck. 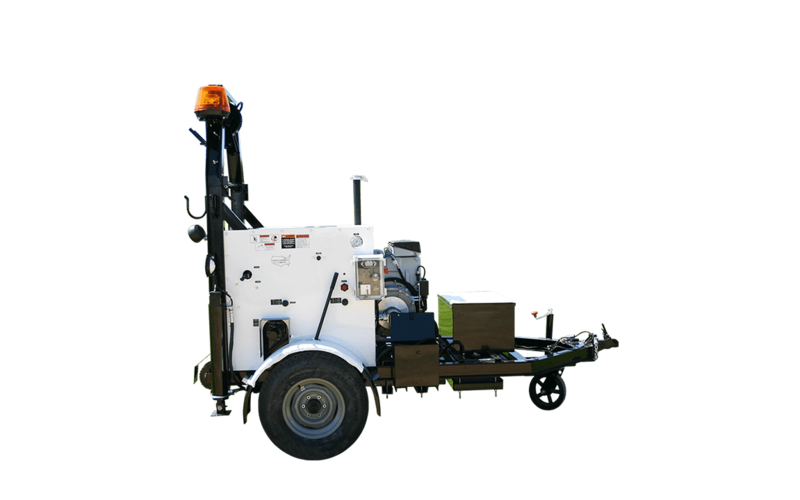 These machines are also an excellent clean up tool in the event of a petroleum or chemical spill, as no water is added to the material during cleaning as no water is required for operation. This helps save on disposal costs. The pull-in and truck loader are available for separate purchase.